Michael Hartley has been a client of Senior Head Stylist Karen Jones for the past six years, visiting the salon at Ocean Terminal on a regular basis. 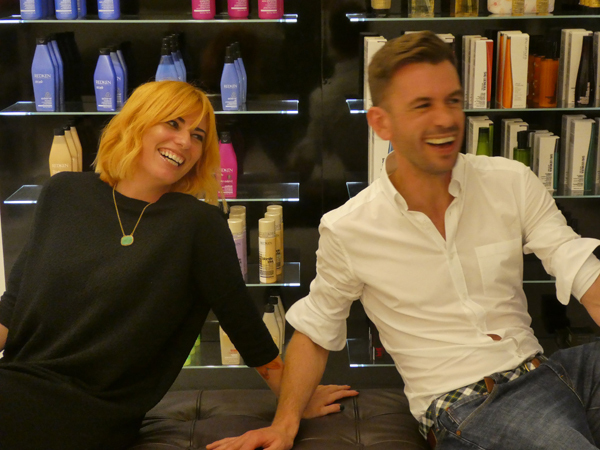 Karen, who he describes as ‘Edinburgh’s Carrie Bradshaw’ became part of the Charlie Miller family in 2005 and over the last eleven years has climbed the career ladder to hold the position of Senior Head Stylist. Let us introduce you. Michael says ‘I discovered Charlie Miller after cutting my own hair for about 8 years. Skinhead, Mohican, you name it….but when I was assigned my first client meeting, my boss gently suggested I get a “proper” haircut. It was valuable advice as over the years my job in clinical research has led me to attend face to face meetings with leading doctors in various medical fields, along with representatives of some of the big pharmaceutical companies. My hair is my armour, so it needs to look sharp. Away from work, I like to run and keep fit, so my hair needs to withstand getting messy and be easy to maintain. Michael and I hit it off straight away, he has a wicked sense of humour. Michael loves his hair and wants it to look good. He jokes that I’m the decision maker in all his hair-related decisions so I was a bit surprised when he asked me to shave his hair for ‘brave the shave’. Having lost his dad to cancer he wanted to do his bit for charity and in doing so raised over £500 for Macmillan. To me that sums up the kind of person he is… kind, caring and selfless. 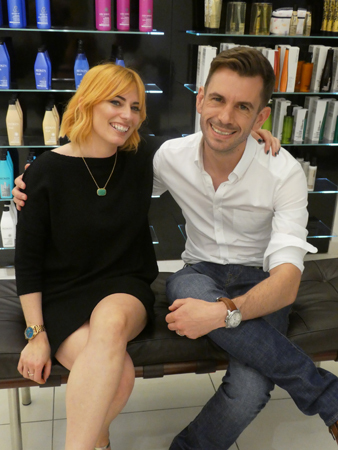 Charlie Miller Hairdressing has five luxury salons across Edinburgh. Find us at Frederick Street, South St Andrew Street, Holy Corner, Ocean Terminal and Stafford Street. It’s easy to book online using our app and you can view our price list here. We hope to welcome you to Charlie Miller soon. Keep up to date with all our news, events, competitions and stories by joining us on Instagram, twitter and Facebook. Search hashtags #cmhairdressing and #50YrsTogether. We believe great hairdressing has the power to transform. It's about you, your hair and so much more!